Matthys Gerber 2015 at the Museum of Contemporary Art, Sydney from 22 September to 6 December 2015. 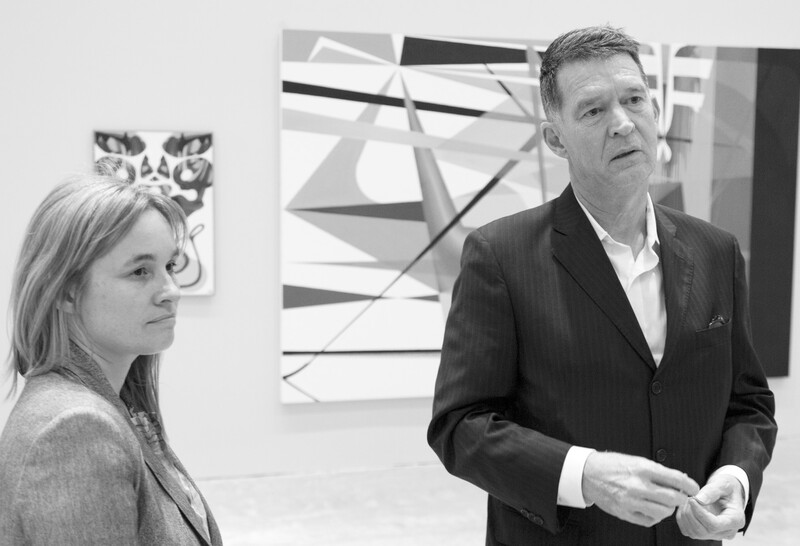 For decades, in the contemporary art world, painting has been under siege. Art theorists have attacked painting for the myth that surrounds it, bombarded painting with claims that it has lost its seductive qualities and the ability to persuade. And even its illustrious history has been under fire with predictions that it’s no longer relevant. Nevertheless, painting has endured through its many iterations. With many of those versions explored in virtuoso painter Matthys Gerber’s thirty-five-year career, on show in the survey exhibition Matthys Gerber (2015) at the Museum of Contemporary Art (MCA). MCA senior curator Natasha Bullock has marked this exhibition’s design with her distinct curatorial layout and planning. Through her design concepts that incorporate cinematic film techniques with contemporary survey methodologies. 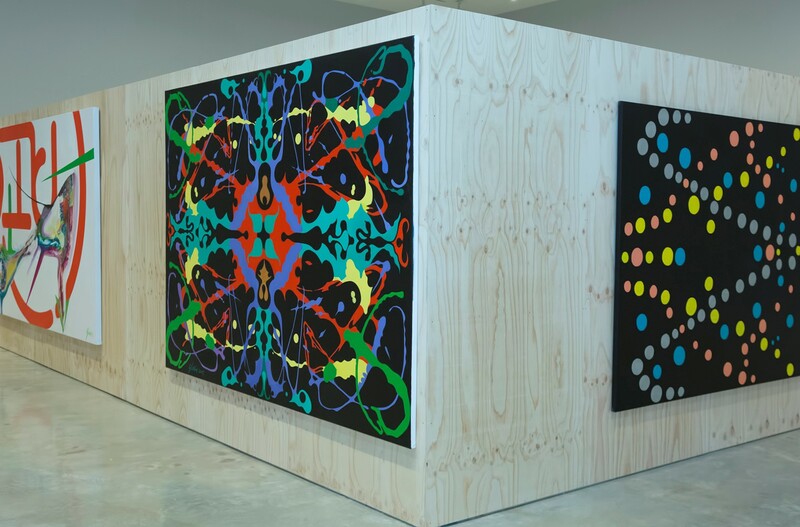 Following a similar direction evident in Bullock’s past curatorial projects such as Parallel Collisions: 2012 Adelaide Biennial of Australian Art (co-curated with Alexie Glass-Kantor). Where they utilised the concept of the tracking shot filmmaking technique, which is made clear in how they created a complex dialogue between artworks, while still maintaining a visual rhythm that accelerates at a steady pace. This concept is reminiscent of the long tracking shot in Orson Welles’s classic noir film Touch of Evil (1958). A three-minute excursion through a town in Mexico, and at the same time weaving together the added complexities of a newly married couple walking towards the country’s border and an impending car bomb explosion. The visual tension of the scene is unnerving and was created through the use of multiple perspectives and the extended duration of the tracking shot. Both of these things (multiple perspectives and duration or time) became valuable curatorial tools in making Parallel Collisions (2012) a success. It also proved to be a fertile testing ground for Bullock in meeting the perplexing demands of planning a survey show of Matthys Gerber’s historically dense and stylistically complex oeuvre. When I think back to other contemporary painting exhibitions I have seen, it conjures up an image of an austere presentation. Possibly a hangover from the aesthetics of minimalism and post-minimalism, and is a strong contrast to Bullock’s risky venture of visual overload in the survey exhibition Matthys Gerber (2015). There are twenty-five medium and large-scale paintings in this exhibition, with an equal mix of landscape and portraiture formats. Matthys Gerber’s paintings have been presented in a capacious exhibition space — and the ‘tracking shot’ concept makes a welcome return — with the viewer’s eyes acting as a steadicam, panning across large abstract paintings. Visually moving in and out of monochromatic space, and snaking across abstract lyrical lines of saturated colour in the painting Jetmaster (2008). 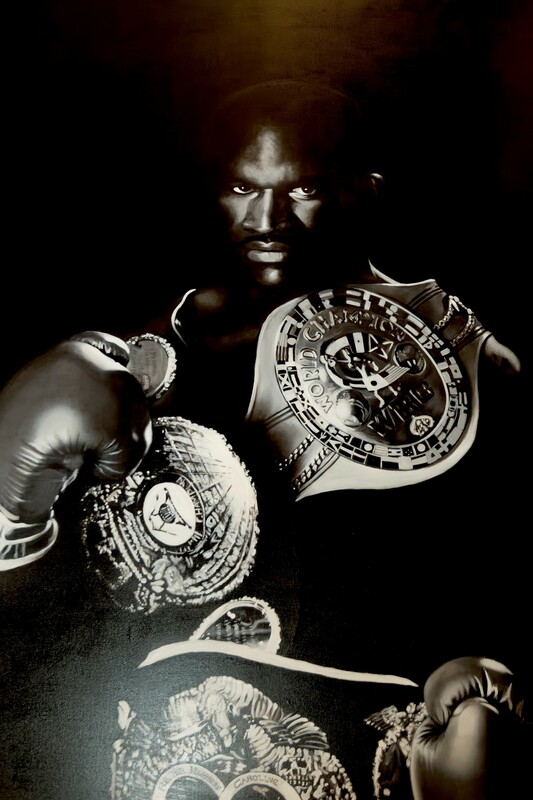 And then abruptly panning up above eye level to view the figurative paintings Figure 1 (1990) and Black Painting: Evander Holyfield (1992) with their penetrating male gaze a safe distance away. The exhibition area has been divided by the insertion of a square plywood partition, with the straight grains of the wood redolent of pine stretcher frames — the framework support of a painting. The ‘pine stretcher’ reference is an obvious indicator that Bullock is merging the characteristics of painting with the curatorial design. Further supported by the fact that this large collection of paintings is not presented in any chronological order or arranged by theme or genre. Instead, it’s simulating Gerber’s broad combination of historical visual cues in his paintings, which doesn’t conform to the rules of a progressive timeline. Particularly evident in Gerber’s oil painting L ’Origine du Monde #1 (1992), a generic European landscape scene, depicting a twin waterfall and faded alpine mountains in the background, painted in a mid-key, cool dominant colour scheme, and structured using a vanishing-point perspective. At first glance, this painting appears to reflect the style of 17th-century Dutch landscape painting, except that the dramatic cloud formations (a trademark signature of that style) are replaced by a flat azure blue sky. More strongly related to the effects of photography than En Plein Air painting, and has a mismatched title that references Courbet’s modern art icon and alludes to Magritte’s inquiry into linguistic signs. These factors serve as an anchor for L ’Origine du Monde #1 (1992) securing it to four separate events in art history: Dutch Golden Age painting (1665), Early Modernism (1866), Surrealism (1929), and Photorealism (1969), making it resistant to the older generation of artists and their pursuit of a singular style such as Pop art, Op art, Conceptual art and Minimalism. Looking back at Australian art history — there was a schism with the past — that occurred alongside the literary work of the Australian writer, curator and publisher Paul Taylor (1957-1992) who was promoting a dramatic shift away from singular styles. He also championed ‘new wave and the second degree’ a practice of quoting artistic styles of the past, which signified a decline in historical significance for more contemporary meaning. There were artists who aligned themselves with Taylor’s cultural and artistic vision, yet Gerber wasn’t so much interested in quoting other artistic styles, instead displayed the ambition to challenge traditional conventions of painting. Consequently, affiliating his actions more closely with modernists like Marcel Duchamp, who had little reverence for the sacred, and treated all art as a promissory note. For Duchamp, the visual arts can be broken down to living ideas indebted to dead cultural objects that are waiting patiently to be challenged. Painting within the framework of modernist abstraction presents its own unique set of challenges. One such challenge is when artists reinvent artistic styles of the past, and continually reinvent it, as far as the principle design of the artistic style begins to erode or fragment, until nothing is left. As a way of bypassing this problem, Gerber focuses on modifying the flaws or limitations of a particular artistic style. In his large-scale oil painting Mother Tongue (2013), a hybrid geometric and gestural abstract work, Gerber has been informed by French lyrical abstraction, more precisely the calligraphic style of the German born painter Hans Hartung (1904-1989). An accurate way of describing Hartung’s calligraphic gestural style would be to label it as something visceral, visually loud, although it’s static, a frozen crescendo in time. With Gerber’s version it’s agile and rapid, holding a high visual pitch and often appears out of place. Reminiscent of the heavy vibrato guitar riffs and odd time signatures produced by the guitarist Buzz Osborne from the hard-core punk/drone metal band The Melvins. The influence of music is a constant influence in Matthys Gerber’s paintings. 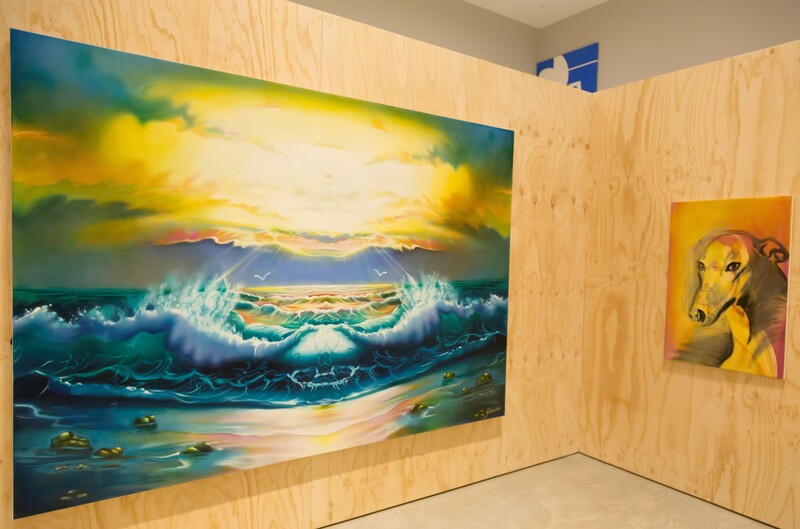 His oil painting Holy War II (1994) depicts a generic wide-angle seascape with strong visual cues quoting Baroque Classicism, German Expressionism (and its emphasis on colour and shape), and the biblical reference Crossing of the Red Sea. Even with the cross-sectional visual prompts, there is still conventional use of colour in this painting. However, the execution of the colour combinations is discordant and strange, suggestive of virtuosity in music, possibly a visual interpretation of guitarist Steve Vai’s work with post-punk band Public Image Ltd. It’s made apparent by Vai’s intense arpeggio rhythm and circular vibrato guitar riffs, which crosses over through Gerber’s extended tint of chromatic yellow and isolation of colour (facilitated through circular sequencing). Its difficult for me not be moved by the striking use of colour, yet the mirror imaging effect overshadows it in this work. Inspired by the Rorschach inkblot test, and resolves the long-held dispute between painting and the decorative arts, by pushing imagery towards something much more psychological. Matthys Gerber’s self-titled survey exhibition declares —in a rather subtle manner— that he has reached a new milestone in artistic freedom. By his paintings, in how they acknowledge the historical significance of art, through multiple perspectives, not ever connecting to a specific era, which provides his imagery with a degree of timelessness. Paintings created twenty years ago seem that Gerber could have produced them yesterday. And the freedom gained by not being chained down to a specific genre or type, representational or abstract, has its charm. It’s the reason Jackson Pollock’s action painting was so significant, as it expressed more freedom than what came before it. And it explains the popularity of the Underbelly television series, the characters in the show do whatever they like without fear of the consequences; lawless actions that are part wish fulfilment to the people viewing the show. And Matthys Gerber has given painting a much-needed sense of purpose, something few have achieved, although many have dreamt about doing it. This entry was posted in Issue 16, James Aksman-Glos, Matthys Gerber, Matthys Gerber 2015, Museum of Contemporary Art, Sydney and tagged Adelaide Biennial of Australian Art, Australian Art, Natasha Bullock, Orson Welles, Painting, Visual Arts by Mark Roberts. Bookmark the permalink.